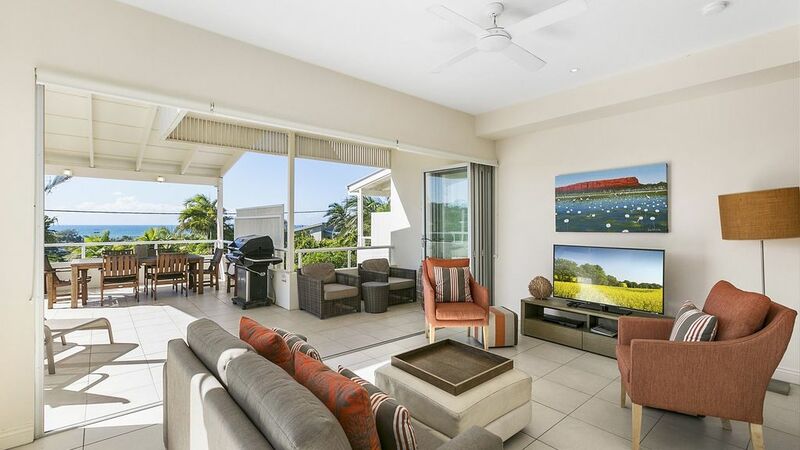 This holiday home offers spacious, luxurious living with ocean views and an exclusive use pool. This is a three level, designer townhouse is one of only two. It is very private, enjoys ocean views from the living area and entertaining deck, and the master bedroom offers the best views of all. Tucked into a cul-de-sac at the very northern end of beachside Sunrise Beach access to the beach is via a pathway through a nature reserve and through to Ross Crescent, Sunshine Beach. Bath towels only. Please bring your own beach/pool towels. Everything we needed for a lovely holiday.Would recommend.